Here you can see my published stories on print media. Mysteries of the city: Companies in Sao Paulo start to invest in 360º productions. The projects cost a minimum of 3000 reais. 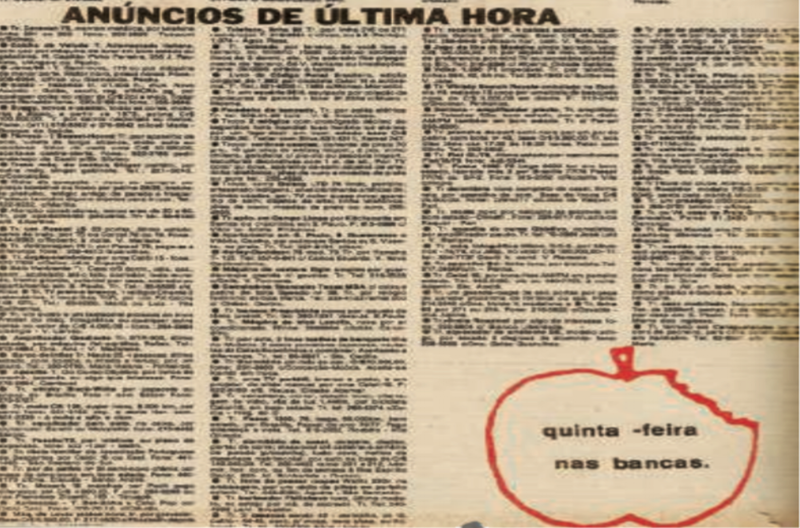 Memory: A story about Primeira Mão, a classified ad newspaper created in 1980 that still sells 80,000 copies per month. More efficient studies: Experts give tips to those who want to invest in distance learning, a model with increasing market relevance. Mysteries of the city: With an investment of R$ 8 million, a 1.90 meter long vehicle will be produced in São Paulo. It was designed to save space and fuel. Mysteries of the city: Does pressing the traffic light control buttons make a difference? This is what this investigative research shows. News in Class: MBA in Big Data and in Sustainable Urban Mobility, among others courses, enter the menu of options offered the institutions of the capital. Cover story: The project to close the Minhocão viaduct on Saturdays moves forward and discussions about deactivation for cars increase while movements promote activities on the spot. Mysteries of the city: An exhibition of the visual transformation of Brazilian artists; the museum that shows 1300 pieces that tell the story of Brazil. Mysteries of the city: a story about a Comics exhibition and another about silicone guinea pigs animals being used in veterinary medicine classes. Domestic piglet: Teacup pigs arise as house pets and their defenders guarantee - they are cleaner than a dog. Mysteries of the city: a story about a small atelier specializing in hand-manufacturing Scandinavian furniture that it is conquering space in people's homes. Top Sao Paulo's citizen: three teenagers stage theatrical Harry Potter stories in the capital's orphanages. Mysteries of the city: A story about the increasing number of couples looking for wedding parties held with small numbers of guests. Mysteries of the city: a story about a hybrid travel book and architectural guide of the city center and another about popular bracelets in Sao Paulo. Mysteries of the city: A story about a collection of dry tech technology for social clothing made for bikers and another about a museum of discarded electronic equipment. Youth squad: Inspired on military training, Crossfit gets a version for children that disguises exercises into playful activities. Mysteries of the city: An unusual installation has been taking the poles of the capital - colorful vases with various spices that can be taken by people. The Business of Dreams: Self ­Help Guru makes big bucks in the City with hypnosis clinics and tells how his techniques can cure several health problems. Top Sao Paulo citizen: the story of Lucio Serrano, who held more than 400 donations of blood and platelets in the capital hospitals. 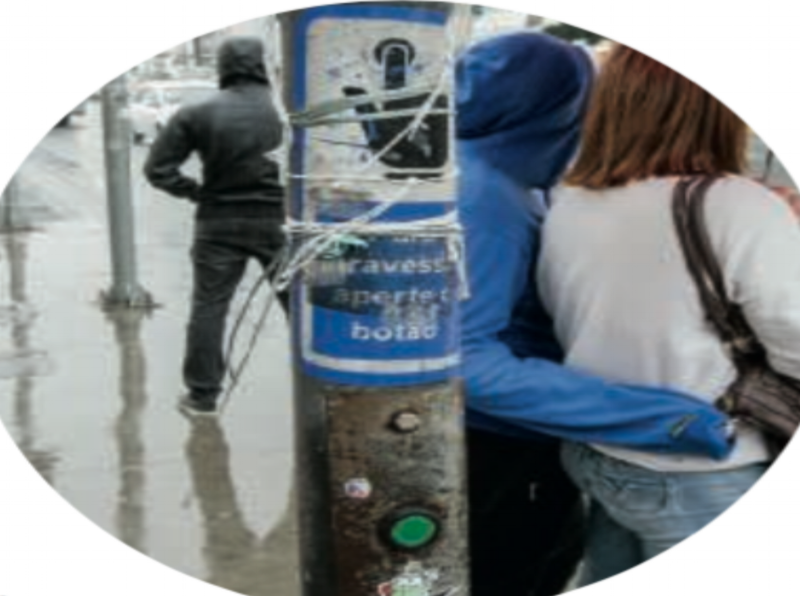 Mysteries of the city: citizens of Sao Paulo started to paint, on their own, the poles from which the radar signaling had been withdrawn by the city hall. Mysteries of the city: a story on a lady that collects more than 390 teacups in her house and another on where your phone is more susceptible to be stolen in the city. Top Sao Paulo citizen: The story of Roseli Michetti, who has volunteered for 22 years in Sao Paulo's hospitals city to support patients and their families. Mysteries of the city: a story about the oldest bus stop in Sao Paulo and another about an open air exhibition that has put giant smiles around the city. Mysteries of the city: I unmasked the meaning of extravagant food names that actually hide simple recipes behind the fancy titles. Mysteries of the city: a story about the skeletons of Bancoop in the capital and another about a company that specializes in making miniature replicas. Memory: Adoniran Barbosa's masterpiece, Trem das Onze, was elected the most iconic Paulistan song, proving it still lives in people's memory. Mysteries of the city: A story about a house's facade built on top of a building, another about kids' vision on draught; other on mosaics installed in the city. Memory: A story about how the inauguration of the Bauducco factory helped to spread a famous dessert in Brazil. Love of body and soul: In Brazil, there are over 20 options of religious wedding cerimonies - we followed a few of them. Memory: Book tries to unravel the riddle of the Castelinho da Rua Apa murder, that to this day remains unsolved. Divorce on the leash: Divorced couples bring to justice cases concerning pets’ joint-custody and shine a light in the possible need of a law change. Virtuoso of Perus: After earning a prize of 60.000 reais, young cellist won a full scholarship to attend a prestigious conservatory in Austria. Mysteries of the city: The anniversary deals supermarket chains in the capital are doing for clients this year and how you can find them. Cover story: The reporter Lucas de Abreu Maia, blind since childhood, tells how he and other visual impaired built a particular relationship with the city. Mysteries of the city: Apartments with less than 40 square meters have become a niche in the city's real estate market; stadiums tours star to become popular in Sao Paulo. Mysteries of the city: A story about an Art Battle that takes place on a shed in the Pinheiros neighborhood in Sao Paulo and gathers around 400 people per edition. Mysteries of the city: Companies in the capital are investing in hiring former inmates to prevent recidivism in crime and help the reintegrate society. Cover story: We tested tools in several app categories to select the top fifty for different audience profiles. Mysteries of the city: Product placement is increasingly becoming an advertising strategy in Brazilian movies. Cover story: A guide with icy environments, refreshing pools, indispensable appliances and health tips to help face the hottest month in the history of Sao Paulo. Mysteries of the city: A story about platforms offering new ways to find housekeepers and another on apps exploring collaborative economy. Mysteries of the city: A story about Gringos World Cup and another about a building that switches color according to the variation of air quality. Mysteries of the city: A story about Mahamudra in Sao Paulo and another about a traditional school in the city that got its own exhibition.